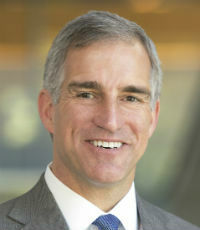 Having started his commercial real estate career in the 1980s, in 2012 John Cannon joined Freddie Mac’s multifamily operation, where he serves as chief point person for the company’s Program Plus Seller network. Today, Cannon heads the production and sales team that purchases conventional multifamily mortgages. He also manages Freddie Mac’s conventional lenders, working with them and borrowers on individual deals. Cannon came to Freddie Mac from Berkadia Commercial Mortgage, where he led the conventional mortgage banking network, GSE lending, proprietary lending and investment sales programs. During his last five years with the company, Berkadia originated more than $86 billion in loans. Prior to his time at Berkadia, Cannon held leadership roles at Capmark Finance and GMAC Commercial Mortgage.